With the rising popularity of small UAVs for hobbyists, it’s unsurprising that the hackspace has at least one drone enthusiast. Dave has quite a selection of drones in a range of sizes, recently he’s been experimenting with video cameras mounted to them to record the flight or provide a live feed to the operator during the flight. 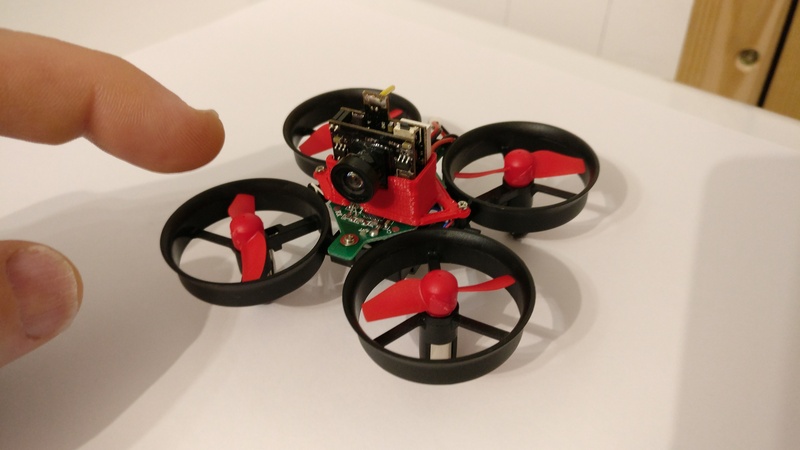 At our last open evening he had a go at mounting a really tiny camera on tiny quadcopter. With a little help setting up a print on the 3D printer, Dave had a camera mount printed and ready to go before the end of the evening. The design for the mount was a slight modification of a mount for a similar camera and drone found on thingiverse.